Ask and you shall receive….. eventually. Many of you have asked me to share my favorite Clean mascara. 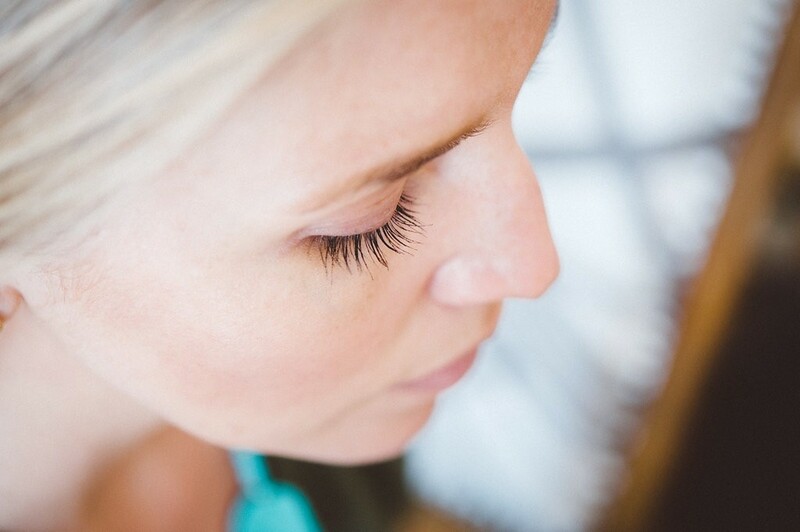 It used to be easy; I used Josie Maran’s Instant Natural Volume Argan Mascara for years. It was awesome, and 95% Clean. It lasted all day without smudging, and it lengthened and volumized. And then, it was discontinued. Dev-a-station. Mascara is my desert-island-cosmetic-choice, so I know you understand when I had drop everything to find a new favorite. I’ve tried every single Clean mascara on the market over the years. Seriously – I have a drawer full of them to prove it. I don’t know if it is because of the shape of my eyes or because of the other eye products that I use, but not one Clean mascara passed the test. On me, they all smudged and/or flaked. Even the ones with a cult following. Even the ones I really, really wanted to like. They all gave me total raccoon eyes of varying degrees. Enter: Lily Lolo Mascara. My search is over. This mascara lengthens, volumizes and coats evenly – I love the brush. It doesn’t clump. It doesn’t flake. It doesn’t smudge. It washes right off. I don’t know what else to say except that I am buying it in bulk and praying that it is never discontinued – oh, and that Lily Lolo is plant-based, vegan, and made without parabens, phthalates, petrochemicals, sulfates, synthetic fragrance, or triclosan. Cost: $20. Available at Petit Vour. Proof: In this photo, I’m not wearing any other eye makeup – just two coats of Lily Lolo. Ingredients: Aqua (Water), Myrica Pubescens Fruit Cera (Myrica Pubescens Fruit Wax), Propandoil, Copernicia Cerifera Cera (Caranauba Wax), Polyglyceryl-6 Distereate, Sucrose Stearate, Acacia Senegal Gum, Glyceryl Dibehnate, Helianthus Annus Seed Cera Sunflower Seed Wax), Lactobacillus Ferment Bis-octyldodecyl Dimer Dilinoleate/Propanediol Copolymer, Polyglyceryl-10 Myristate, Oryza Sativa Bran Cera (Rice Bran Wax), Glyceryl Caprylate, Rosa Canina Fruit Oil, Argania Spinosa Kernel Oil, Xantham Gum, Potassium Sorbate, Glyceryl Undecylenate; May Contain Iron Oxides. Why should you switch to Clean mascara? Conventional mascaras are chock full of really frightening ingredients. I’m not talking one or two bad ingredients, I’m talking formaldehyde releasers, mercury, Sodium Lauryl Sulfate, coal tar, petroleum distillates, vinyl, parabens, phthalates, and triethanolamine – all of which are being absorbed by the mucus membranes in your eyes. We only get one pair of eyes, and we need to take good care of them. Switching this cosmetic out for a Clean version should be a high priority for all women.